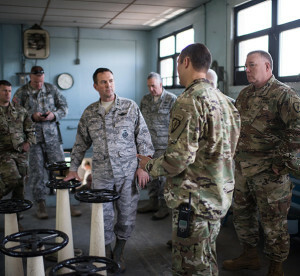 Air Force Lt. Gen. Joseph L. Lengyel, the vice chief of the National Guard Bureau, receives a briefing at the Muscatatuck Urban Training Center in Butlerville, Ind., April 23, 2016. Lengyel has been nominated to be the chief of the National Guard Bureau, and, if confirmed, would serve as a member of the Joint Chiefs of Staff. He testified at his Senate Armed Services Committee confirmation hearing June 21, 2016. 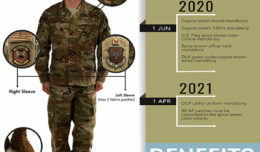 Today’s National Guard is in the best shape it’s been in for its almost 380 years of history, President Barack Obama’s nominee to lead the National Guard Bureau told the Senate Armed Services Committee June 21. Air Force Lt. Gen. Joseph L. Lengyel has been nominated to succeed Army Gen. Frank Grass. He currently is the Guard Bureau’s vice chief, and, if confirmed by the Senate, he will receive his fourth star and serve as a member of the Joint Chiefs of Staff. The National Guard Bureau is a joint Defense Department activity embracing both the Army National Guard and the Air National Guard. The two components have roughly 453,000 service members. In normal times, the guardsmen come under the authority of state governors. Once federalized, they come under the DOD. 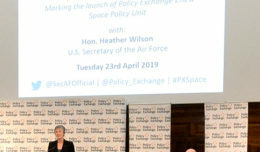 The general cited transregional, multidomain and multifunctional threats ranging from near-peer competitors to violent extremist organizations as reasons for the military to become more agile and for the government as a whole to use all elements of national power. The National Guard has changed considerably since 9/11. Air guardsmen regularly fly missions around the world. Army guardsmen have fought on all battlefields in the war on terror alongside regular component Soldiers, the general noted. The National Guard traces its lineage to 1636, and Lengyel told the senators that although he is proud of the history, he is more excited about the future. 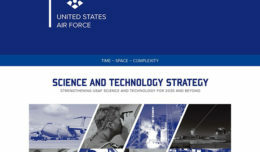 “The Guard’s evolution as an operational force is a chapter in our nation’s security at home and abroad that is written through the incredible skill and devotion of America’s citizen Soldiers and Airmen,” he said. He vowed that the development of these volunteers will be his most important task. “If confirmed, I will strive to grow and train leaders who innovate and motivate the force,” he said.